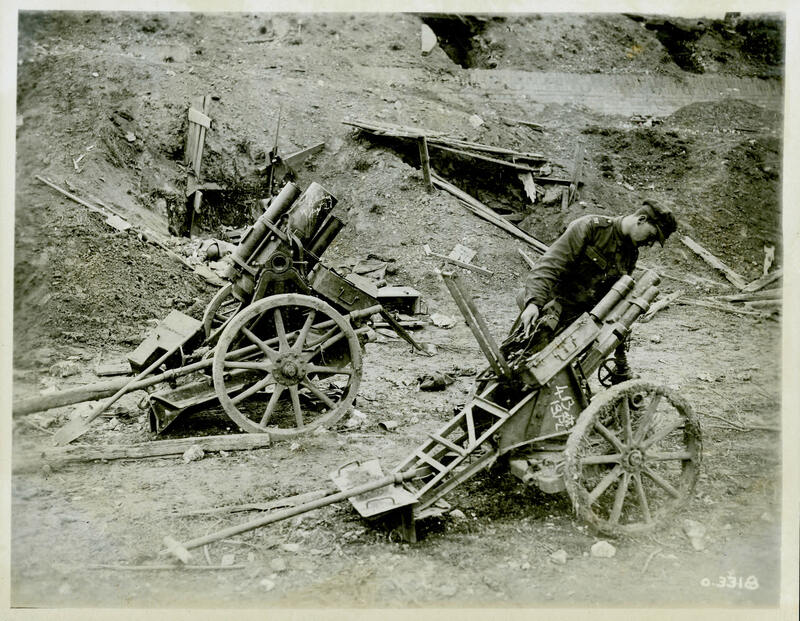 German mortars captured during the Canal du Nord operation. One of the mortars has been marked by the 4th Battalion, which captured it on 27 September. Units typically chalked captured guns, mortars, and machine-guns as signs of their prowess and victories. From 22 August to 11 October 1918, the Canadians captured 371 guns and nearly 2,000 machine-guns.